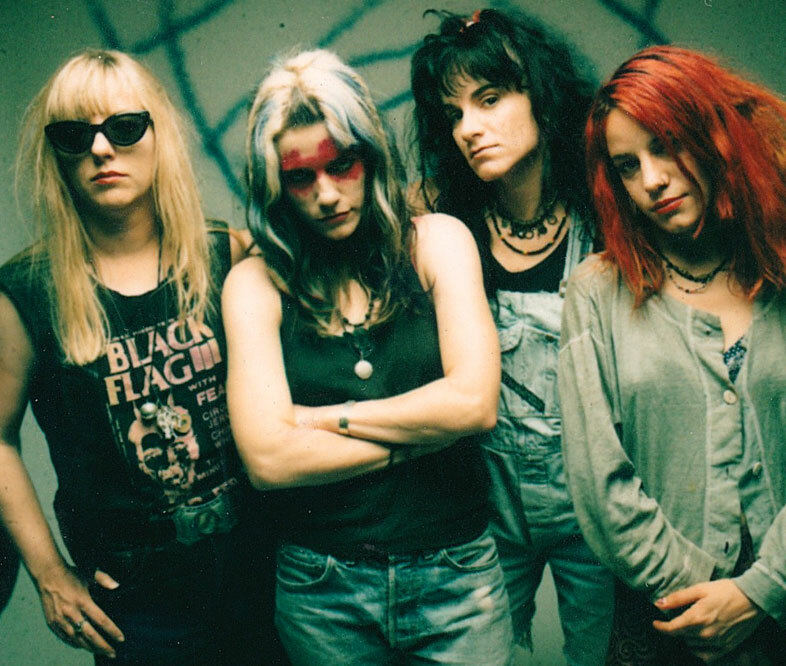 It’s been well over two years now since I contributed to the Kickstarter fund for the L7 documentary Pretend We’re Dead, which is currently screening at select indie cinemas across the UK and USA… and one of the unexpected benefits of the project is that it brought the band’s original line-up back together again after a couple decades apart, first to promote the film, and then to play a few (well received) reunion gigs… which have now borne further fruit, in the form of a spanky new single! The punky Trump-baiting comedy track is titled “Dispatch From Mar-a-Lago”, and available to hear for free on YouTube (and embedded in an informative Pitchfork interview), or buy for money at various online vendors. I’ve only listened to it a couple times so far, but it’s pretty darn catchy, and just as pulse-quickening as the material they were thrashing out back in their chart-topping prime! Apparently they’re trying to take things slowly, and test the waters before rushing into recording a full album, but if this first single is anything to go by, then there’s still plenty fuel in their fire, and plenty great tunes to look forward to in the near(ish) future! Hurrah! This entry was posted in Rants about Films, Rants about Music and tagged Dispatch From Mar-a-Lago, L7, Pretend We're Dead. Bookmark the permalink.